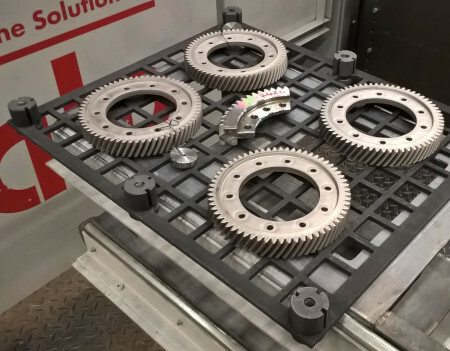 ALD Vacuum Technologies GmbH gave two presentations at GETPRO 2019 – the 7th FVA GETPRO International Conference on Gearbox Production of Forschungsvereinigung Antriebstechnik e. V. (FVA, the Research Association for Drive Technology) on March 19-20, 2019 in Würzburg, Germany. The event with 180 participants from 8 countries focused on the future of powertrain production in terms of digitization, networking and electromobility. The lecture “New perspectives in heat treatment in the age of digitalization” by Dr. Klaus Löser deals with digitization and industry 4.0 both for heat treatment integrated in the process flow (OPF: One-Piece-Flow) and for Small Batch Production (SBP). 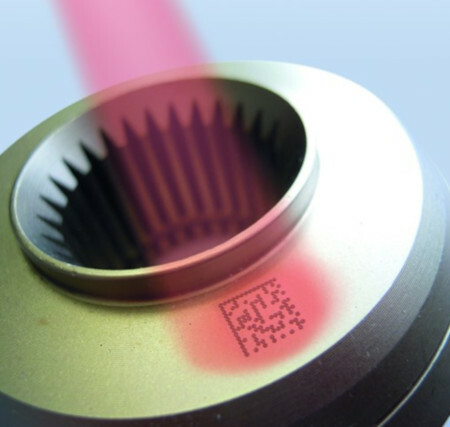 Traceability for each individual workpiece over the entire production and assembly process can be made possible by an individual 2D barcode (DMC: DataMatrix code) engraved on the component by laser. This code can also withstand the high temperatures of heat treatment. Other industry 4.0 applications for heat treatments are: Monitoring and display of production data, energy management, etc. to avoid peak loads, predictive maintenance or condition-based maintenance as well as the “digital twin” of the plant. In his lecture “LPC – Outsourcing – vacuum case hardening with superior distortion-control as a service“, Dr. Volker Heuer looks at contract heat treatment using low pressure carburizing (LPC) and high pressure gas quenching (HPGQ). Two test series are used to describe the influence of the 2D and 3D arrangement of workpieces during heat treatment on distortion. In addition, the digital quality control is presented in a modern LPC service center, where the quality data from the metallography laboratory are directly linked with the batch data in the ERP system (Enterprise Resource Planning). Further information on GETPRO 2019 can be found at https://getpro.de/.